Jersey cotton boat neck T-shirt. 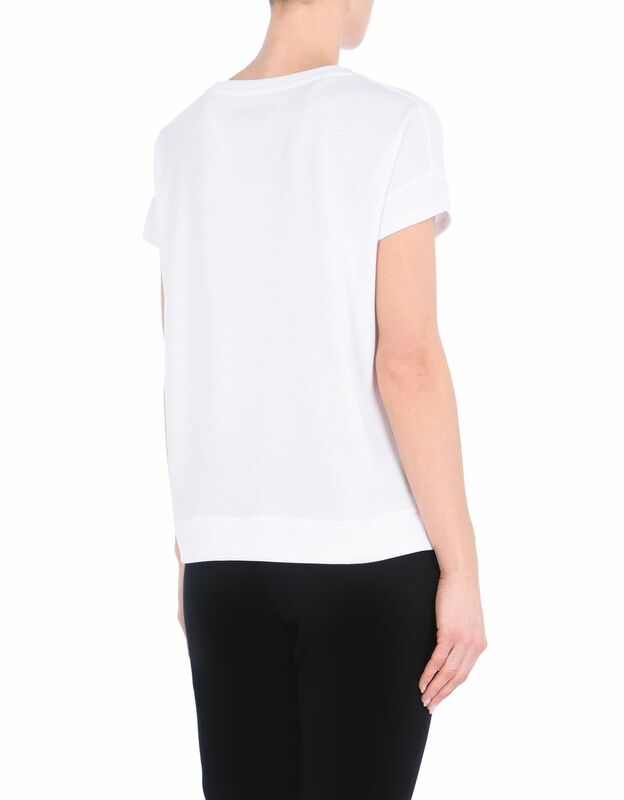 This boat neck T-shirt has a characteristic kimono shape that makes it chic and original. For all Scuderia Ferrari fans looking for comfortable and elegant clothes, this new women's T-shirt is made of soft jersey cotton, which is pleasant to the touch and ensures a comfortable fit. A rhinestone Shield adorns the front. 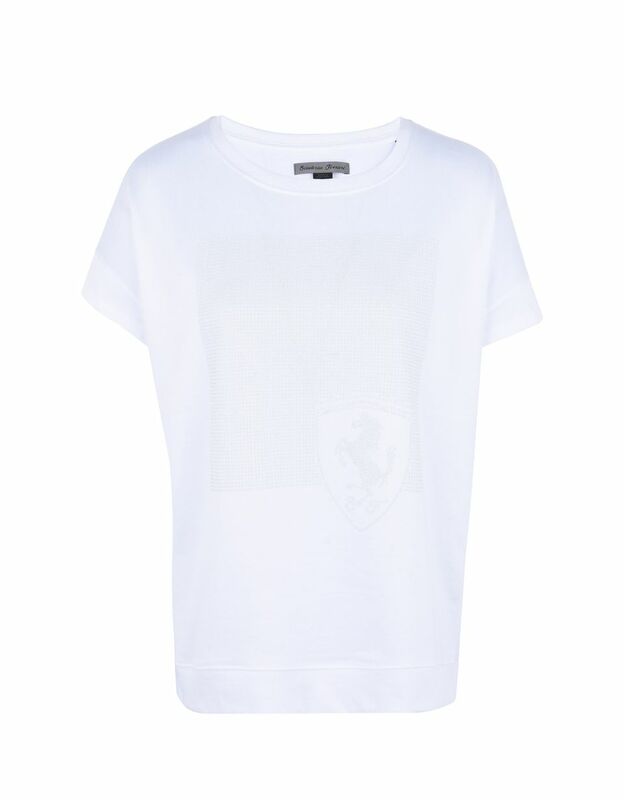 With its sophisticated design, the Scuderia Ferrari T-shirt adds a touch of charm to everyday casual looks.